If I knew any drafting, I would have done that for the drawing sample. Should’ve drawn some hex nuts and bolts, but it’s too late now. I love the look of drafting pencils. 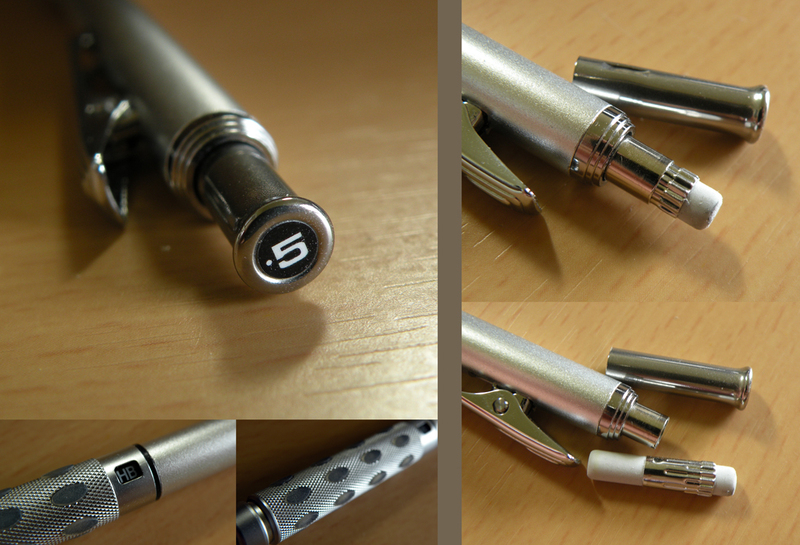 They’re always so fancy—far beyond what I ever need in a pencil. Is drafting still a thing that’s done by hand? Which combines the grippability of a knurled grip with the comfort of a rubbery grip. The little ovals go down when you press on them. I don’t know how useful that is, but it’s insanely fun to play with. The big deal with this Graphgear is the retractable lead sleeve. To deploy, push down on the eraser knock, and the lead sleeve clicks neatly into place. To retract, open up the clip—the whole mechanism retracts violently. Time has not reduced the forcefulness of this retraction. The lead sleeve is very sturdy. The lead in the sleeve is sturdy. The pencil is solid, the weight, well balanced. 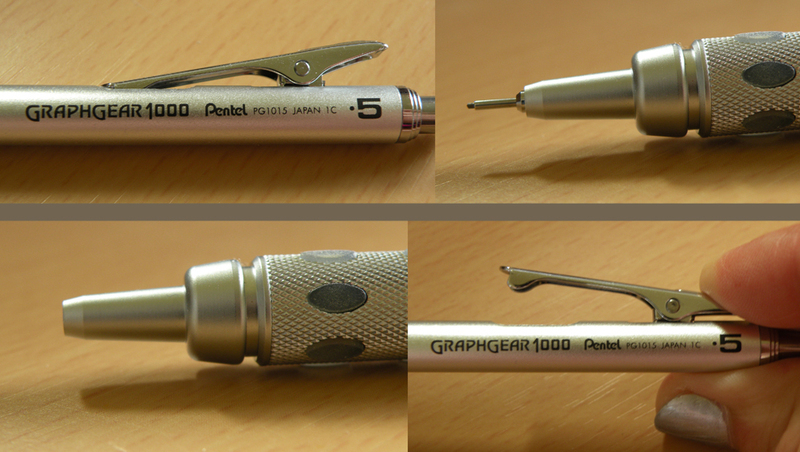 The Graphgear 1000 is a classy, well-made pencil. 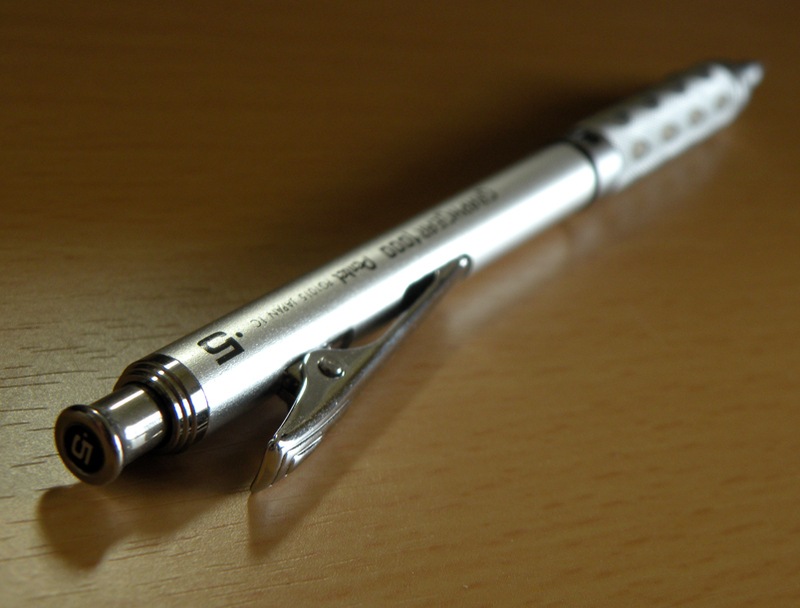 I don’t know much about drafting pencils to compare it to, but the GraphGear seems to me like quite the fine utensil. Thanks to Pentel for providing this sample for review! 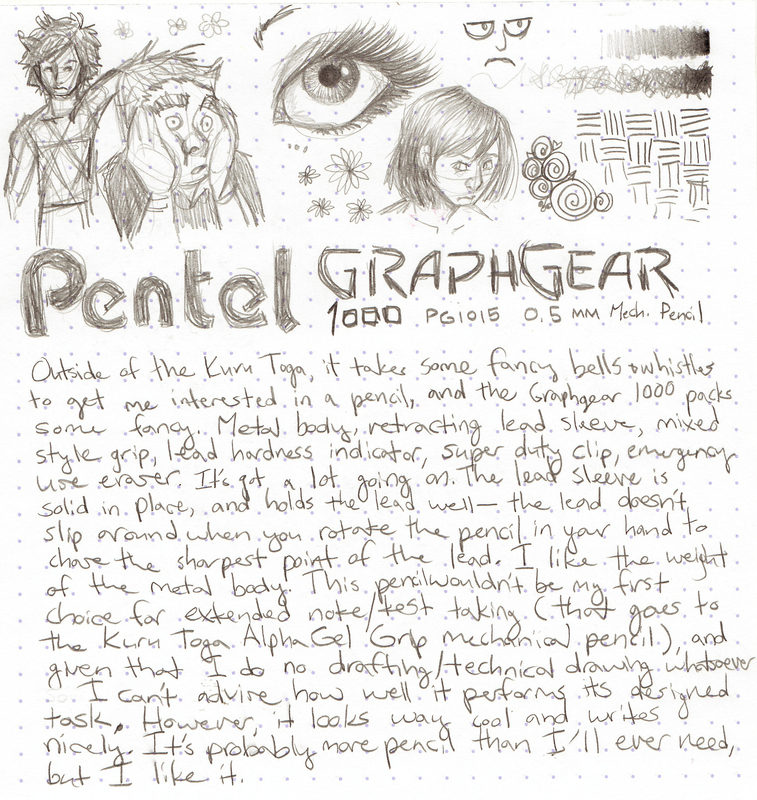 Pentel Graphgear 1000 at Amazon, thru Pentel, cheaper than Pentel’s own website?!? I have used this pencil for nearly two years now and it is rock solid and a work horse. Solid and well worth possessing! 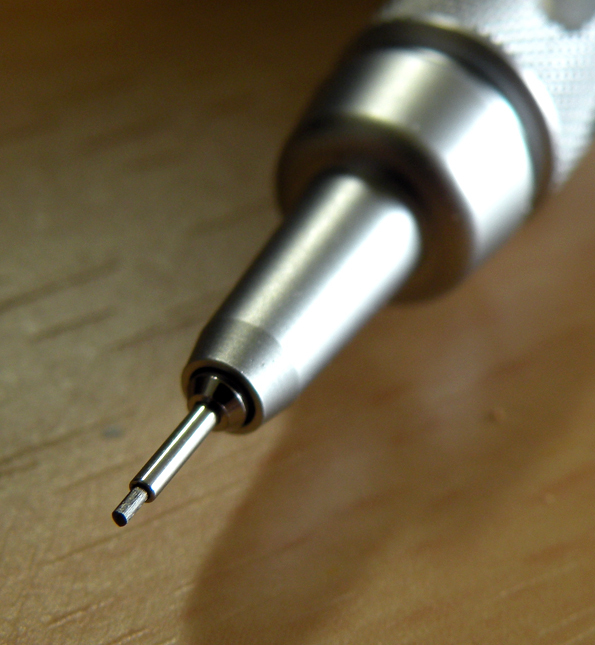 My favorite mechanical pencil is the Uni Kuru Toga Roulette, but my 0.7mm Graph-Gear 1000 is #2.
what shade of lead comes by default inside the pencil when the pencil is delivered?? Is it 2H or H?